A woman from Uzbekistan who tried to sell her baby daughter has been sentenced to six years in prison by a Russian court. Her sister, who brokered the deal, has also been jailed – for six and a half years. Hatichahon Parpieva arrived in Ekaterinburg in search of a job a year and a half ago, leaving her husband and daughter in Uzbekistan. In October 2007 she gave birth to a daughter. The baby’s father reportedly dumped her shortly after. 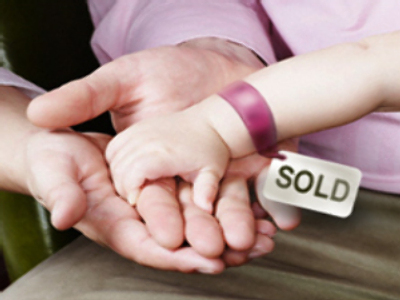 Parpieva decided to sell the baby and asked her sister to find a suitable buyer. In February the women struck a deal. The four-month-old girl was offered for sale at about $850. The baby was meant to be used as a beggar when she grew up. Police arrested Parpieva during the exchange and later caught her accomplice. A city court found the two guilty of dealing in human beings and sentenced them to prison terms. The mother fainted after hearing the verdict, reports Interfax news agency. Although in theory eligible for Russian citizenship, the baby girl's fate will be decided in the first instance by Uzbek authorities.